Cut strips of Velcro. 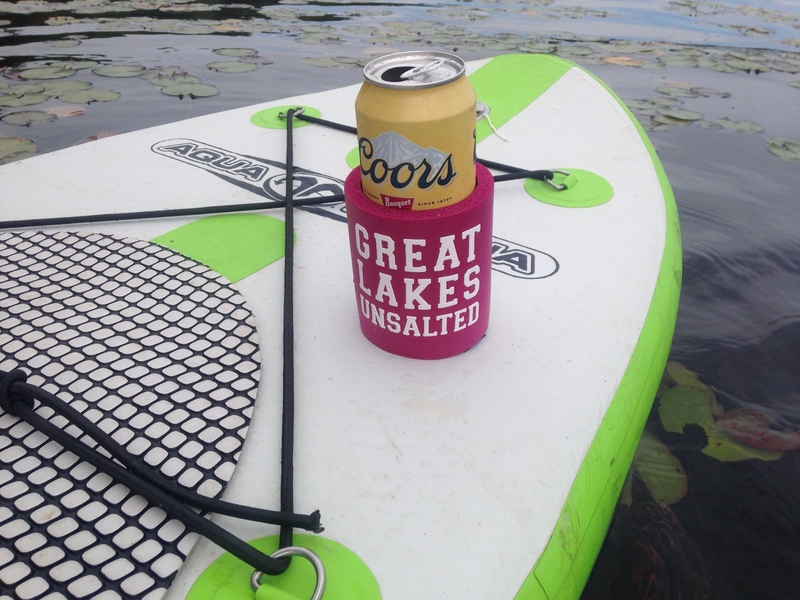 Stick one piece to your board and one piece to the bottom of your beer cozy. Voila! For my (25th ;)) birthday this year, my good friend and fellow paddler, Alison, gave me a beautiful and thoughtful gift that she made herself. 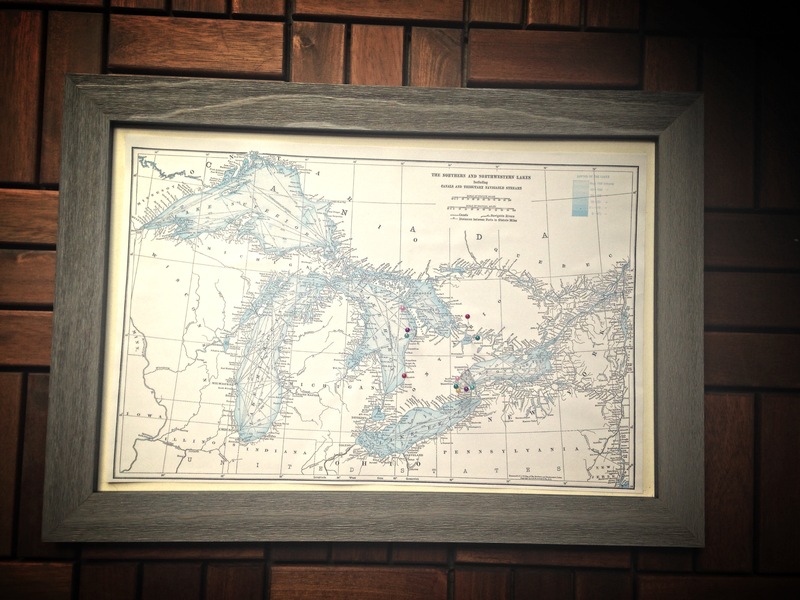 It was a personalized, framed map with pins showing all of the different places we’ve paddled. It is absolutely awesome! Glue the map to your corkboard. Place pins. You’re done! Waterproof phone and camera cases (range from $10-40). Check out these e-cases from Mountain Equipment Co-op. A surf watch that provides sunset/sunrise times and wind speed. This watch from Nixon has received great reviews and is considered one of the best surf watches. A beautiful, hand-crafted wooden paddle. Check out this Canadian-made beauty from Grey Owl. 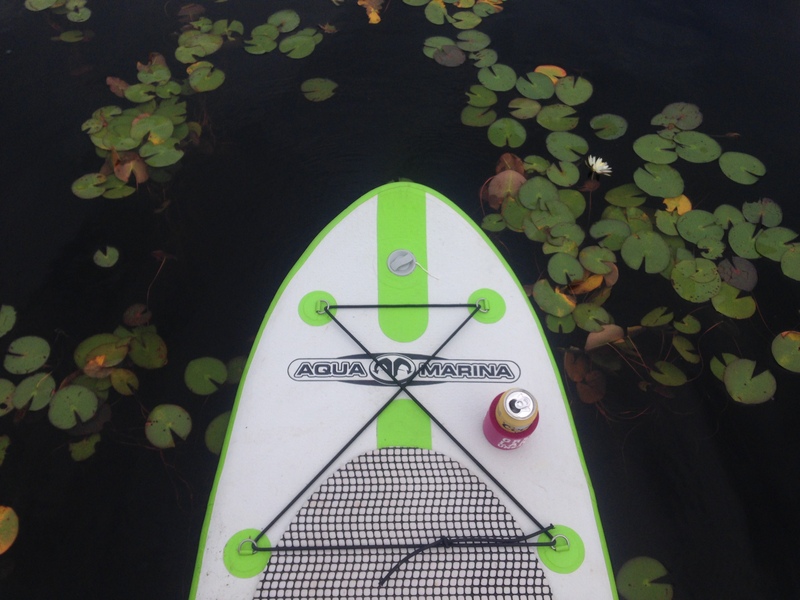 Posted on October 18, 2015 December 5, 2015 by paddlewagonPosted in diy, fun stuffTagged diy.